Our sensors were initially formed into gastrointestinal (GI) manometry catheters to monitor pressure in the human gastrointestinal tract. 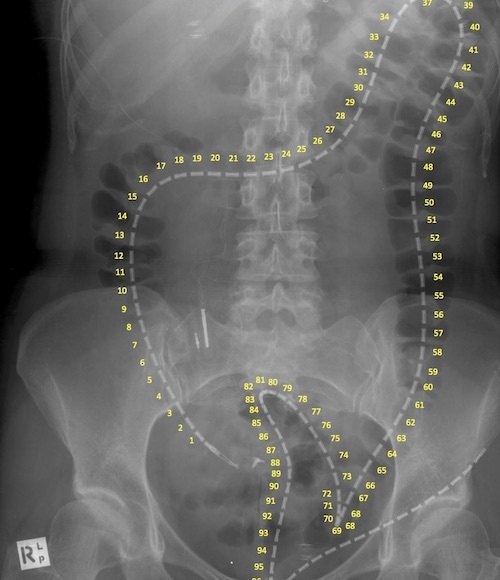 Due to the high flexibility, long lengths, and large information carrying capacity of optical fibre, our GI catheters were able to probe deep into the human body to record data with much higher spatial resolution than was ever possible using traditional techniques. 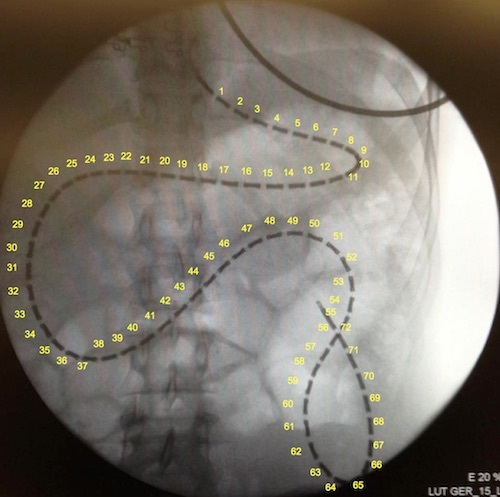 Figure 1 shows two x-rays of our catheters placed into (a) the small intestine; and (b) the colon of volunteers in recent clinical studies of GI motility. Figure 2 shows a section of data recorded in the small intestine during one of these studies and shows (a) data from every 10th sensor to simulate the response of a traditional catheter; and (b) data from every sensor to demonstrate the dramatic increase in information that can be obtained using the Arkwright Technologies catheters. 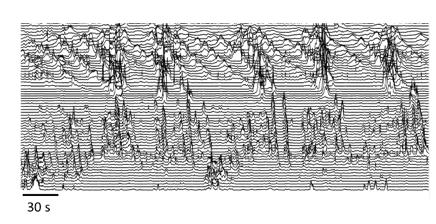 Figure 2b: Data recorded using an Arkwright Technologies GI manometry catheter in the small bowel of a healthy volunteer showing data from every sensing element to show the additional information that can be gained using the AT fibre optic technology. Our sensors have also been used to monitor other medical applications including, sleep apnoea, swallowing (dysphagia), bladder and urethral pressures, pelvic floor integrity.